1. Camera+: If you’ve got an Apple device, this app is one of the best options for you. Although not initially designed for selfie-taking, all you’ll need is the tap of a button to turn your selfie into a stunning image. There are multiple other features which can help you get the photograph you want. There is a catch, however, with the app costing your wallet $2.99 for iPhone’s and $4.99 for iPads. 2. Snapchat: You’ve probably already got it if you’re social media savvy – saving you an additional download – but this app’s photo taking features are among the best. It’s available on almost all devices, and offers a plethora of selfie filters, helping you capture the mood of the time. Features such as the ‘face swap’ offer a laugh or two with friends. Oh, and it’s also free. 3. Frontback: This app isn’t too focused on photo-editing tools. Rather, it focuses on one main feature: creating an image by simultaneously taking a photo from the front and back camera of your phone – capturing both your facial expression and the event that’s causing it! This makes for a different take on selfies, and perhaps one that can take your gallery to the next level. Also Checkout 15 Best Appointment Scheduling Apps. 4. YouCam Perfect: This app has all you need to take fantastic selfies. It has a countless amount of features which are designed specifically for the art of selfie-taking. 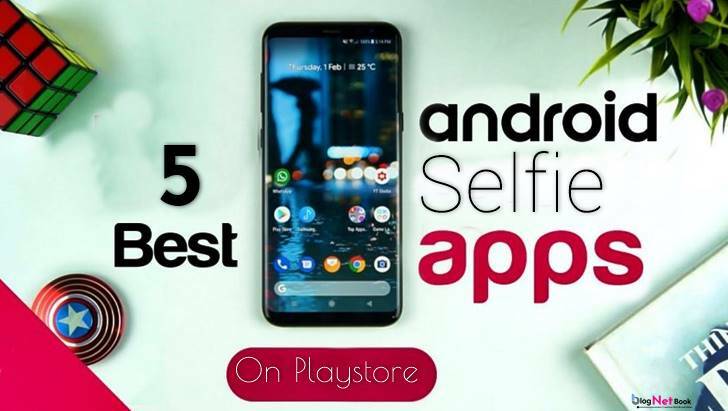 Among its features are “Multi-Face editing”, saving you time when editing group selfies, an “auto-beautifying” option, as well as being able to edit video selfies. This app is available for free on iOS and Android. 5. PIP Camera: This app offers a more artistic outlook to selfie-taking, allowing you to input your selfie into a variety of templates, such a bubble or a bottle. The result is a unique image which will serve certain social media posts very well. Like YouCam Perfect, there is little variety of editing features, therefore making this app a good addition to another selfie tool, rather than being the the sole tool. 6. Boots app: Once you have taken your photos, you may want to print them. You should use the Boots app. With this app you can customise and print your favourite photos, canvases, collages and photo cards. They also have a same day collect service which is great for those last minute gifts! Visit www.groupon.co.uk/discount-codes/shops/boots.com to see what online offer of the day is available to you. Recruiting Technology that are going to shape the Future of Staffing?